2019 marks the 185th Anniversary of St. Charles and all year the City of St. Charles is highlighting stories from our rich history, with a special recognition planned in May. As part of the celebration, the City is hosting a photo contest. 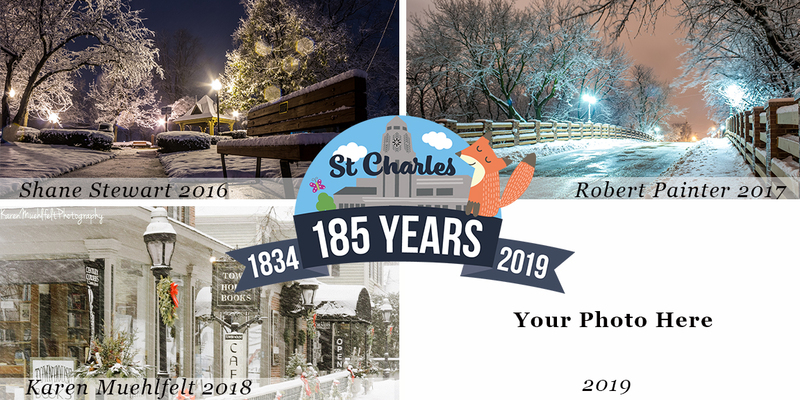 The winning photo will grace the cover of the 2019 City of St. Charles Christmas card. We are looking for an iconic St. Charles winter or holiday scene. Do you have a photo of St. Charles after a fresh snowfall? Did you take a classic photo of St. Charles dressed up for the holidays? Submit your photo and it could be chosen to grace the cover of the City’s Christmas card this year. Full credit will be given to the photographer on the Christmas card and in a press announcement.